uPVC Windows Prices | How Much Do uPVC Windows Cost? How much do uPVC windows cost? The answer to this question relies on several factors. As a guide, our uPVC windows prices range from around £402 to around £701. These window prices are determined by the size of the window, the number of panels you require, the colour you choose and the hardware you opt for. View our handy uPVC windows prices guide to find your ideal choice. Our uPVC windows have become a hugely popular choice for homeowners across the UK, capturing an instantly recognisable home improvement that has been enhanced to modern standards with intelligent and contemporary manufacturing techniques. Our exceptional range of uPVC windows prices will allow you to find the perfect style for your property in no time at all. We’ll work with you to ensure you find the perfect window cost for your budget. Although uPVC windows prices are hard to pin down off the bat, we are still able to offer a range of windows costs that have been determined by individual specifications. We offer uPVC windows prices on our casement windows, sliding sash windows and flush sash windows. With this in mind, you’ll be able to gain a hold on how much you could be spending on enhancing your property with an outstanding home improvement. The prices below are based on white uPVC, internally beaded StyleLine casement windows that are fitted with energy efficient double glazing and an external cill. The prices below are based on white uPVC, internally beaded sliding sash windows that are fitted with energy efficient double glazing and an external cill. The prices below are based on white uPVC, internally beaded flush sash windows that are fitted with energy efficient double glazing an external cill. We understand that the difference in uPVC windows can intimidating. With a comprehensive range of options, colours, accessories, opening configurations, panel counts, locks, handles, hinges, profiles and glazing on offer, finding the right uPVC window cost for you can seem to be a time-consuming and drawn out process. We strive to make things as simple as possible for you when you’re looking for a uPVC windows prices that suits your budget. 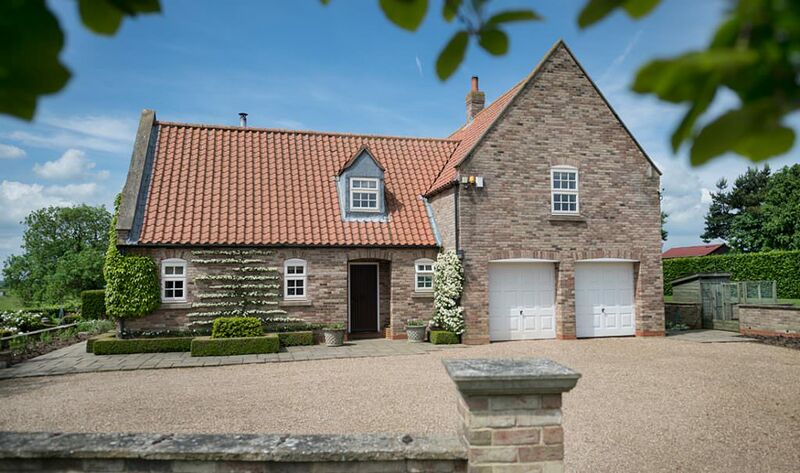 Our expert team of professional installers will work with you to ensure any new addition to your property has been tailored to your specifications. This will not only make our uPVC windows prices as cost-effective as possible, but it will also ensure that your new windows are the perfect fit for both your home and your tastes. We can easily accommodate for both modern or traditional homes, offering fantastic windows prices across the board. uPVC Windows Prices: What Are You Paying For? uPVC has proven to completely outclass their timber counterparts when it comes to performance, durability, cost and design. Not only will our fantastic uPVC windows prices allow you to enjoy a contemporary new addition to your home in a cost-effective way, but they will also prove to be a worthwhile investment as their inherent low maintenance ensures they will continue to perform over an extensive period of time. You’ll also be able to benefit from a professional, reliable and efficient uPVC window installation. Our Approved Installers have accrued a wealth of experience in the home improvement industry to ensure they always deliver a service that is sure to satisfy. Not only will we work to a courteous manner, we’ll also ensure your new windows are set to perform the best that they can. Our uPVC windows prices may be cost-effective, but this does not mean we compromise on quality. Our market-leading uPVC windows are exceptional quality by design, built from the ground up to excel in thermal efficiency, security, durability, performance, aesthetic, functionality and design. Promising to be an exceptional addition to your property, our uPVC windows are a modern home improvement solution for any homeowner. Our uPVC windows prices allow you to enjoy the very best, for less. As our uPVC windows are manufactured using premium grade uPVC, they uphold an impressive degree of structural integrity that ensures they won’t rot, warp or discolour over time or use. This means that even in the face of adverse British weather, your new uPVC windows will continue to perform to the highest standards. This will also allow you to eliminate maintenance costs, meaning our uPVC windows prices will continue to bring value even after initial installation. uPVC Windows: Will They Suit My Home? Perfectly suited all property types, our uPVC windows can be fitted to effortlessly complement modern, traditional, heritage and new builds alike. This is made possible by a wide range of colours, finishes, handles and glazing options that allow you to capture your perfect window appearance at competitive uPVC windows prices. You’ll be able to enhance your home with the very best in a cost-effective way. We will also work with you to ensure our uPVC windows prices accurately reflect the size of the aperture you have in your home. This means that a number of panels and opening configurations you require to make the most of the space that you have will be a determining factor in the final cost of your uPVC windows prices. As always, we’ll strive to make things as cost-effective as possible across the board, ensuring you get your perfect home improvement without breaking the bank. How Should I Measure My uPVC Windows? 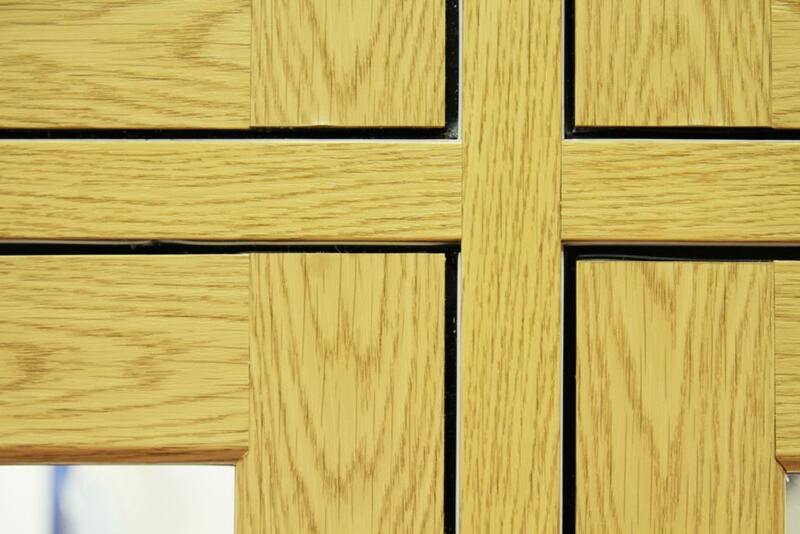 Ensuring you get the perfect fit from your uPVC windows needs only a simple process. Before you start, remember to measure your windows from the outside of the property, making sure to always measure in millimetres. Next, attain the width and height of your window by measuring the brickwork opening in 3 places for both width and height. Once this is done, you will be able to obtain your order size by using the smallest measurement and deducting approximately 10mm. The height measurements must be from underneath any existing removable cill. Also, if your property is rendered, you will need to remove some render to measure the brickwork edge accurately. This simple process allows you to get the ideal windows for your home. Our windows styles offer a range of different features and benefits to operate to the highest standards. We offer uPVC windows that utilise the StyleLine manufacturing process, which features a state-of-the-art Graf Welder that ensures all joints across the window frame are completely seamless, standing as the first of its kind. Our uPVC windows prices allow you to enjoy pioneering home improvements in an accessible way. uPVC casement windows have become a staple of the home improvement industry, proving to be a beautiful all-rounder when it comes to performance, aesthetic and design. Our casement windows utilise market-leading techniques to ensure you can enjoy a warmer and more comfortable all throughout the year. They feature a highly thermally efficient profile that increases the heat retention of your home, reducing heating costs and allowing our window prices to go further. These windows are available in a wide range of colours and finishes, allowing you to effortlessly capture the perfect look for you. We offer a range of high quality woodgrain foils that are specially designed to reflect the traditional look of timber windows, without any of the maintenance problems. All of our colours are applied with a durable powder coating to ensure they maintain their fullness and richness over many years. The uPVC windows prices table above will allow you to see our range of uPVC casement windows prices, based on a white uPVC, internally beaded StyleLine casement window which is fitted with energy rated double glazing and an external cill. uPVC sliding sash windows are a beautiful way to bring a traditional charm to a new build or an enriching addition to a traditional or heritage home. Staying loyal to the classic design, our sliding sash windows update the period sliding sash by offsetting the weight to help guarantee smooth and easy operation every time. This means that you’ll be able to enjoy a beautiful addition to your home without any out of date problems. You’ll be able to choose from a range of accessories and hardware options to really tailor your sliding sash windows down to the detail. With such a selection on offer, our sliding sash windows prices are sure to offer you more for your money. All hardware accessories uphold the usual high standard that we strive to achieve across our whole double-glazing range. The uPVC windows prices table above will allow you to see our range of uPVC sliding sash windows prices, based on a white uPVC, internally beaded sliding sash windows that is fitted with energy rated double glazing and an external cill. 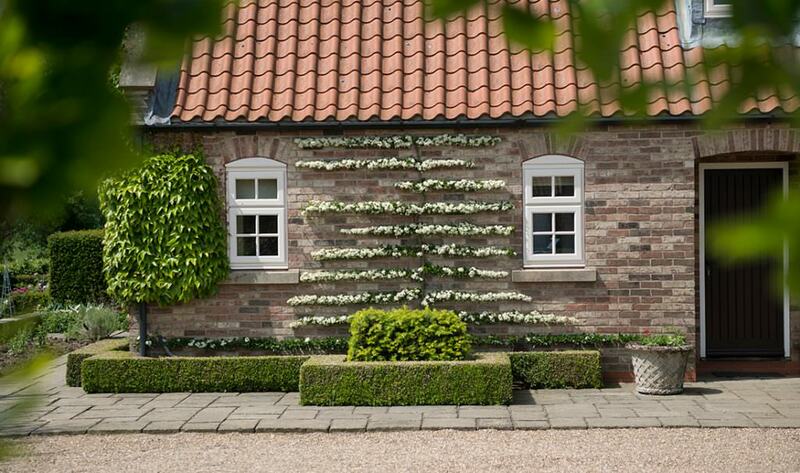 Inspired by traditional joinery, our high quality uPVC flush sash windows offer homeowners the opportunity to enjoy a harmony between the new and the old. These windows exude an appearance that has been loved for generations, capturing a beautifully flush exterior that stays consistent across the whole window frame. They can be installed to complement all property types, available in a wide range of colours and finishes for the perfect fit. 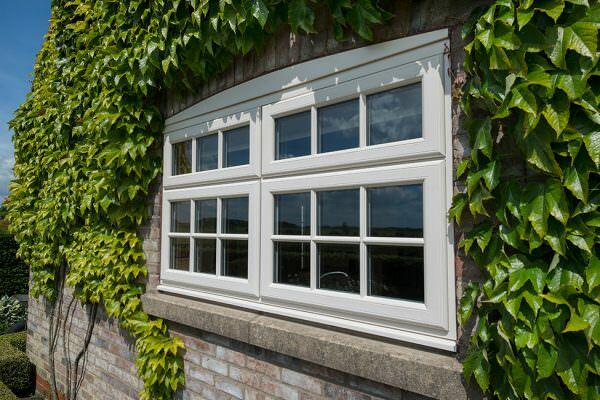 Although incredibly traditional in their appearance, our uPVC flush sash windows have been brought into the modern age with a market-leading profile. This means that they completely bypass any of the detrimental qualities that their traditional timber counterparts possessed, including rotting, warping, discolouring or leaking. 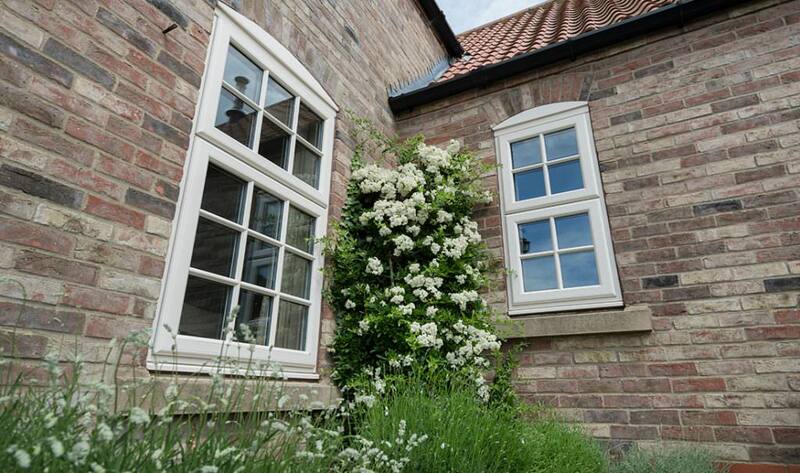 Our uPVC windows prices allow you to enjoy traditional form with modern function simply and easily. The uPVC windows prices table above will allow you to see our range of uPVC flush sash windows, based on a white uPVC, internally beaded flush sash casement window that is fitted with energy rated double glazing with an external cill. Get in touch with us today to find out more on our highly competitive uPVC windows prices. A member of our friendly team will be on hand to help you find a uPVC window cost that perfectly suits your budget, tastes and preferences. Alternatively, our easy to use dealer search function allows you to find your nearest Sternfenster Approved Installer. All of our Network Members uphold our highly competitive uPVC windows prices, meaning you are sure to get the best deal in your area.